The USS Strong put in less than a year of service at sea, but the destroyer and its crew nevertheless earned a place of honor in the U.S. Navy’s history of World War II. Now the Strong’s legacy is once again in the spotlight, thanks to the shipwreck’s discovery by the research vessel Petrel. The R/V Petrel’s expedition team, supported by the late Seattle billionaire philanthropist Paul Allen’s Vulcan Inc., used sonar and underwater imaging to find the wreckage on Feb. 6, lying 1,000 feet deep on the floor of the Kula Gulf, north of New Georgia in the Solomon Sea. 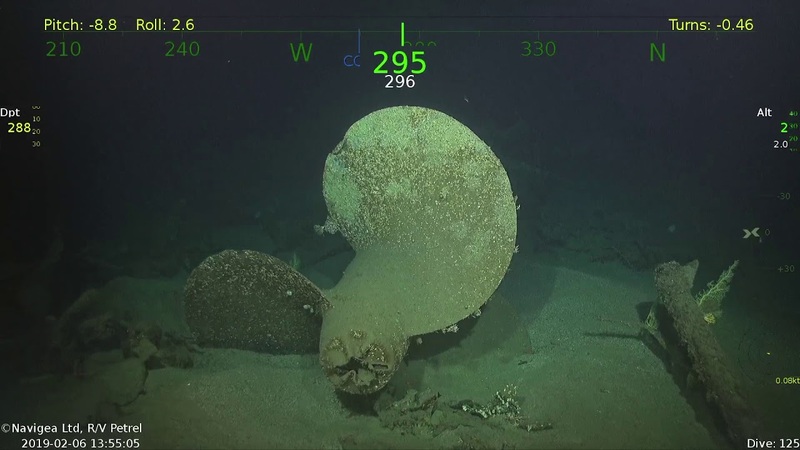 The latest find adds to the Petrel’s long list of World War II shipwreck discoveries, including the USS Indianapolis, the USS Lexington, the USS Juneau, the USS Helena and the USS Hornet. The Strong was launched and commissioned in 1942, and during the first half of 1943, it conducted anti-submarine patrols and supported naval mining operations around the Solomon Islands, New Hebrides and Guadalcanal in the Pacific. Its final battle came on July 5, 1943, when the Strong was sent to shell Japanese shore installations to provide cover for the landing of American forces at Rice Anchorage, on the coast of New Georgia. This entry was posted in GeekWire and tagged History, Military, Paul Allen, Science, USS Strong. Bookmark the permalink.